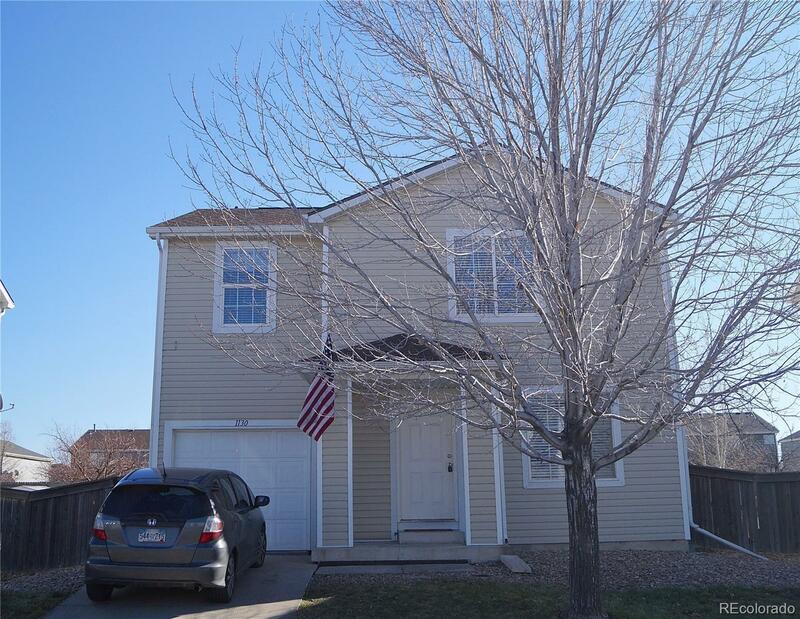 Check out this great 2 story home. Step into the front entry with new tile work and brand new carpeting in the living room. Light and bright living room leads to a nice size kitchen with lots of counter space. All stainless steel appliances included. Laundry conveniently located in the kitchen for multi-tasking while cooking. Washer and dryer included. French doors in the kitchen open onto a stone patio and large backyard for all those fun family BBQs. Upstairs you will find a master bedroom with a walk-in closet and a full master bathroom. Also on the second floor are two additional bedrooms and another full bathroom. New wooden blinds installed. Nice family subdivision close to highways, shopping and schools. Just 20 minutes to the new Outlet Stores! Sale contingent upon seller finding a new home.